Recommended for : Water sourced from rivers & lakes, having low TDS, which does not taste salty. Unique e-Boiling+ : Ensures that every drop of water you drink is as safe, as healthy as water boiled for over 20 minutes. Intelligent Purity Sensor (IPS) : Continuously scans water to give you either absolutely pure water or no water that stays healthy always! Biotron : It magnetizes water and de-clusters water molecules to make the water more bio-available by unlocking the nutrients in water, promising you the healthiest water. Auto Shut Off : Automatically switches off the UV lamp if the purifier is not used for 10 minutes, enhancing the life of UV lamp. Patented Heptapure Cartridge : Removes turbidity and other fine suspended particles such as dust, dirt, mud and sand giving you crystal clear water. It also removes excess chlorine, bad odour, colour and organic impurities along with new age contaminants like heavy metals like Lead, Arsenic, Mercury, Chromium and pesticides making water safe from harmful chemical contaminants. 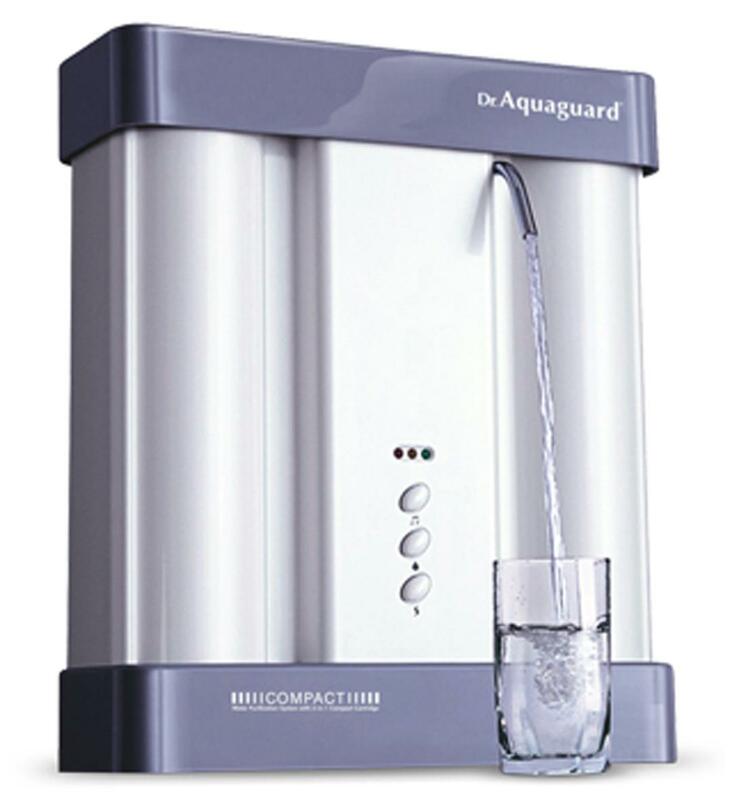 Dr Aquaguard Compact is a UV water purifier best suited for water with low TDS, which does not taste salty. It comes with a compact design that can easily fit into small spaces and brings you a perfect combination of unique e-boiling+ technology and patented Heptapure cartridge. Dr Aquaguard Compact eliminates all disease-causing bacteria, virus, protozoa,cysts and other physical & chemical impurities from the water. Not just that, its advanced patented Biotron Cartridge, a first in UV water purifiers, breaks down complex water molecules making your water even more healthy.